Signs at a health care rally in downtown San Francisco, January 15, 2017. Photo by Kim Wilson/Shutterstock. I am a lifelong Democrat who has been working hard for more than a decade to improve the policies and build the coalitions necessary for the success of the Affordable Care Act, also known as Obamacare. I believe the ACA didn’t go far enough and that the United States must do more to guarantee universal and affordable health coverage. My preference would be for America to move toward a system similar to that of the Netherlands, perennially ranked at the top of the Euro Health Consumer Index. So why I am so hopping mad about the “single payer” bill–SB 562–currently making its way through the California legislature? My frustration is with how the bill exploits widespread confusion about what good health policy outcomes are, and how other countries achieve them. The bill’s proponents lead people to believe that only the United States has a profit-based system and everywhere else has a fully government-run system that produces better care at a lower cost. In truth, every industrialized country has a hybrid system and all are wrestling with the same challenges we are, especially in terms of controlling health care costs. Health care, it turns out, is complicated, and snake oil solutions from the right or left undermine incredibly important efforts to learn from both our own experience and the models of other countries. But the advocates for this bill press on. SB 562 is a compassionate bill, they say. It will bring health care access to people who can’t afford it, we are told. It is backed by all right-thinking Democrats. If you care about people, you have to care about policy. And this proposal is very poorly designed and impossible to implement. It was a mistake for the Democrats to pass this out of the state Senate. Those legislators ignored the spectacular work of the staff of the Senate Appropriations committee, who pointed out all the bill’s basic and fatal flaws. In any sane world, that would have sent the proponents of the bill back to the drawing board. Instead it sent them to the barricades, declaring that the bill is the only way to save health care and denouncing anyone who might oppose it. What are these flaws? Start with the total illegality of the bill. It plans to take all of the health care money being spent in the state through Medicare, Medicaid, the Veterans Administration and other programs and put it into a big pot. California could ask for waivers from federal laws so we could spend this money as we please, we are told. In fact, we could not. There are procedures that allow states to temporarily waive certain requirements of the Medicare and Medicaid programs to experiment with improving those programs. These waivers do not allow states to do away with these programs entirely. The only funds for which there is a process that could clearly apply is federal private insurance subsidies, and that’s a $5 billion drop in the bucket of our $300 billion plus health care spending. It would take a change in federal law to make the basic financing scheme for this bill possible, and there are many other provisions that would violate other federal laws, such as the federal prohibition on state regulation of the health benefits of large employers. Health care … is complicated, and snake oil solutions from the right or left undermine incredibly important efforts to learn from both our own experience and the models of other countries. Second, the bill takes an enormous problem—rising health care costs—and makes it a runaway train. The Senate Appropriations Committee gave the bill a price tag of $400 billion, more than twice the size of the current state budget. This would obviously crowd out spending on any other state priority such as transportation, housing, or education (the investments most closely connected with better health, as it turns out). But as big as the initial spending would be, the long-term cost also would be much, much greater, as this bill would rapidly accelerate health care cost growth. The bill’s provisions encourage people to consume more health care of any type, adding to costs. The bill makes private payments for health care, such as co-payments that people pay for doctor’s visits and prescription drugs, illegal. And the initial draft of the bill proposed that only providers of medical care would determine what is medically necessary, and that patients would be able to access any provider without a referral. The legislation is also based on a fee-for-service system—doctors would get paid for every procedure. Such a system is what California has been trying to get away from for decades, because these kinds of payments encourage a higher volume of procedures and health care interventions, rather than effective and valuable health care. There is literally nothing that we have learned about health care in the past century that this bill’s drafters appear to understand. Universal affordable health care cannot be achieved without a willingness to learn. Countries around the world do health care in many different ways, and we Americans have much to glean from these countries. But this bill does not look at other models or apply lessons. This single-payer system is not based on systems in Europe or Asia or anywhere else. 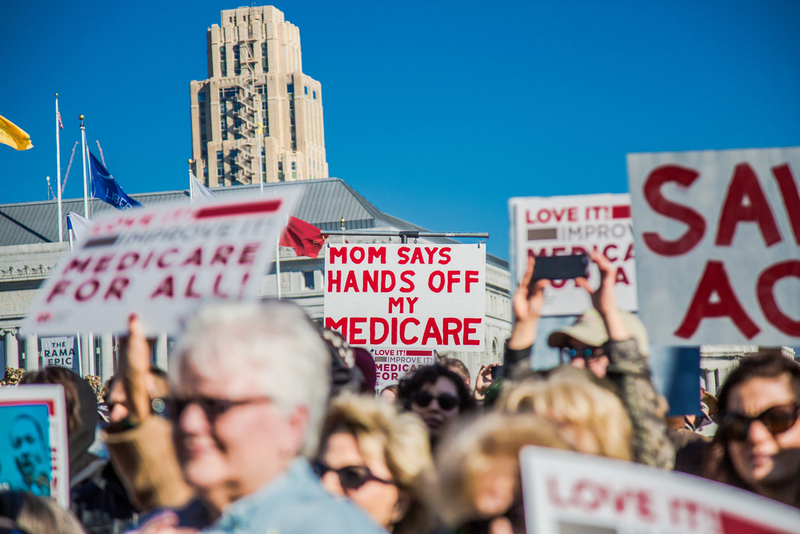 Some of the bill’s proponents say their system would be “Medicare for All,” but this proposed system wouldn’t work the way Medicare does either. Medicare has cost-sharing for patients and involves private insurers through the “Medicare Advantage” programs. This bill would entirely eliminate cost sharing as well as private insurers. One argument is that the bill, whatever its flaws, is better than any other proposals out there. But only in the sense that a Pegasus is better than a pony. Flying horses, of course, don’t exist and there are many reasons why a system like this doesn’t exist anywhere in the world. A good health care financing system incorporates competition and private companies to drive down costs and drive up value. Cost sharing, if appropriately designed, can help encourage people to be better at utilizing the system, seeking health care preventively and at lower cost, and discouraging the use of low-value care. Health care systems, especially government-run systems, require management. And the system being proposed here is essentially unmanaged. No country or state could afford such a system, in which patients are encouraged to consume as much health care as they want and doctors are paid more for every additional service they offer. The final frustration of this phony single payer bill is that the efforts of those who are truly committed to universal affordable health care are needed elsewhere. The American Health Care Act, making its way in fits and starts through Congress, would take a buzzsaw to our progress on universalizing health care, not only wiping away the gains of the Affordable Care Act but also handicapping (if not destroying) the half-century-old Medicaid program for lower-income individuals. The California legislature desperately needs to be devoting all its attention to opposing the federal legislation, and saving Medicaid, which is known as Medi-Cal here and covers nearly one-third of California adults and half of our children. Instead, the legislature is wasting its time on this nonsense proposal. Californians should be united around real progress on health care reform, not scattered by divisive fantasies. Micah Weinberg, Ph.D., is president of the Bay Area Council Economic Institute.